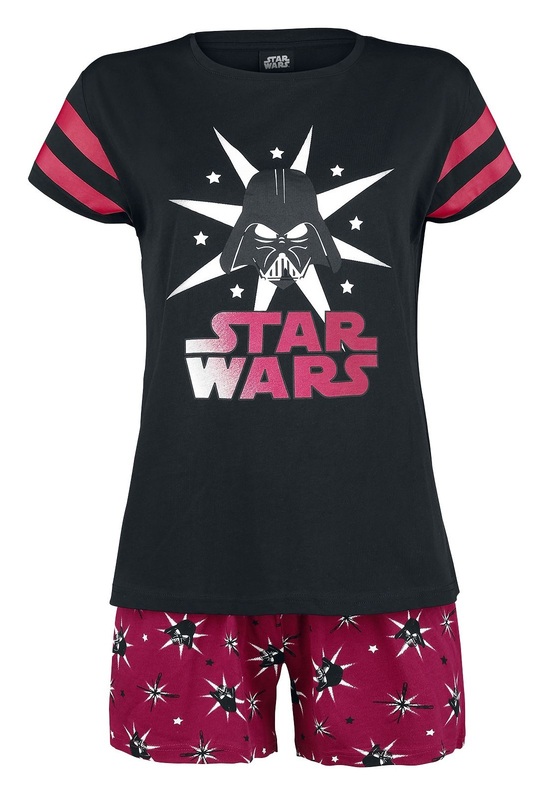 This women’s Star Wars Darth Vader sleepwear set is now available at EMP Online. 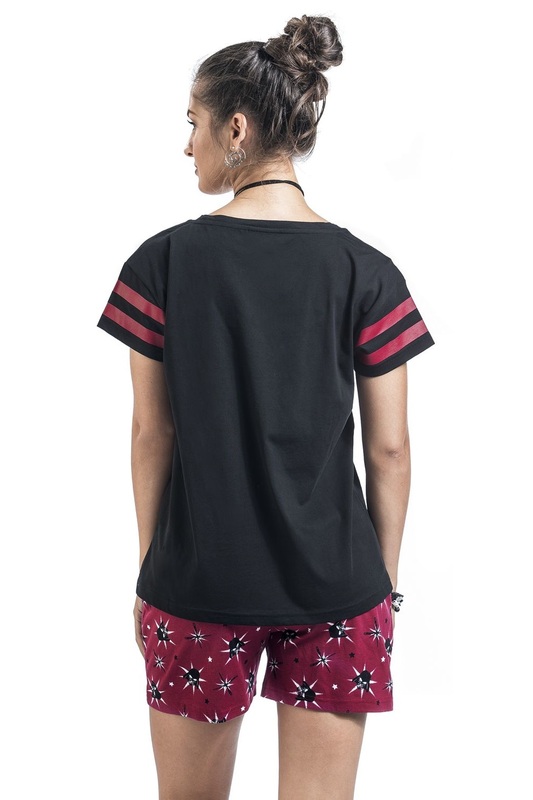 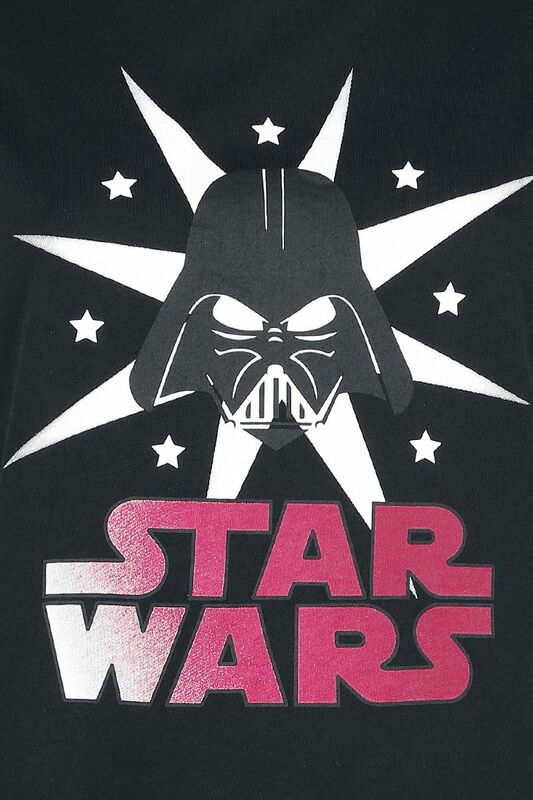 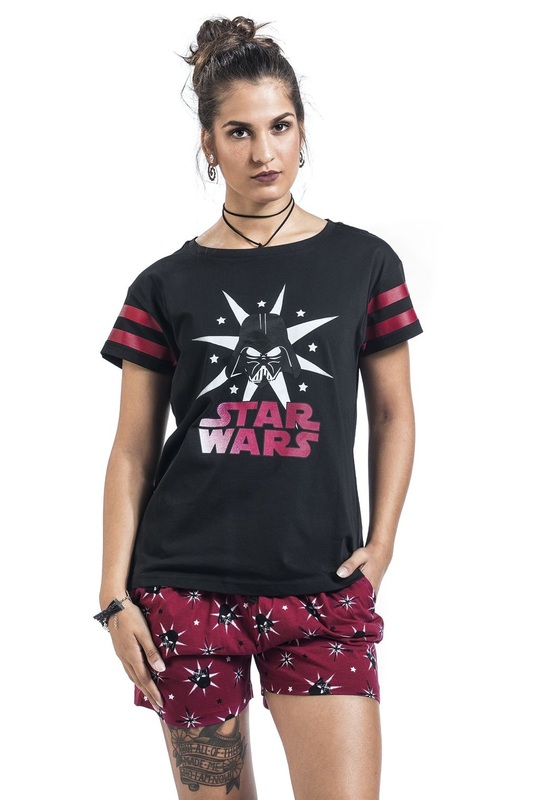 Made from 100% cotton, the pyjama set includes a t-shirt and shorts – the t-shirt features a large front print of Darth Vader, while the shorts featuring a smaller repeating print of the same design. 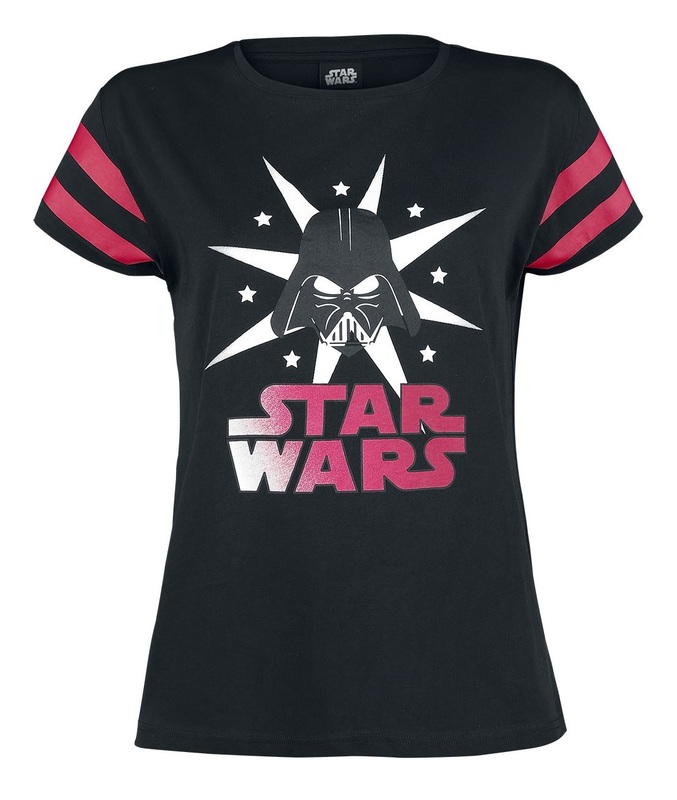 The black and red colour scheme is perfect for fans of Darth Vader and the Dark Side! 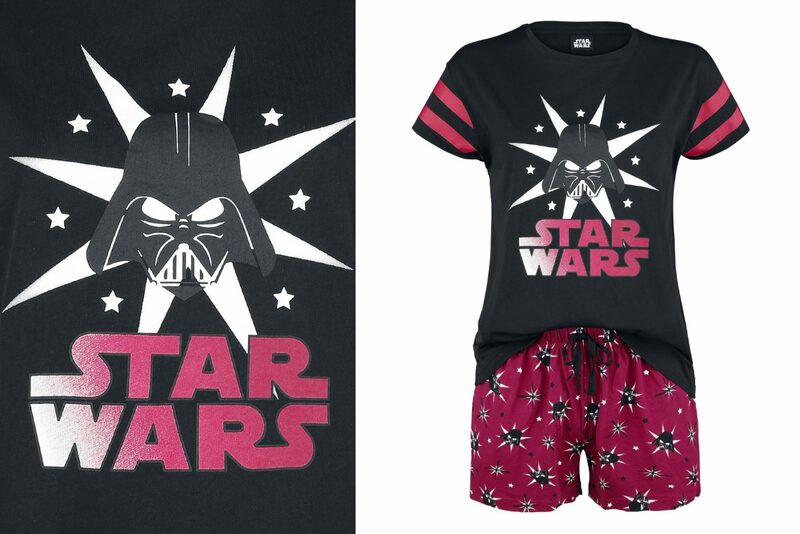 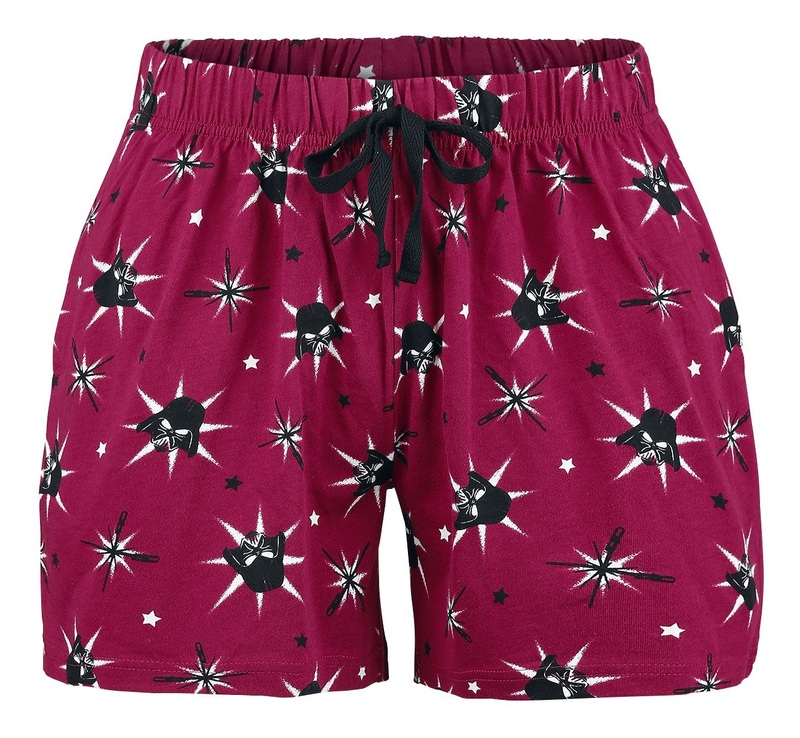 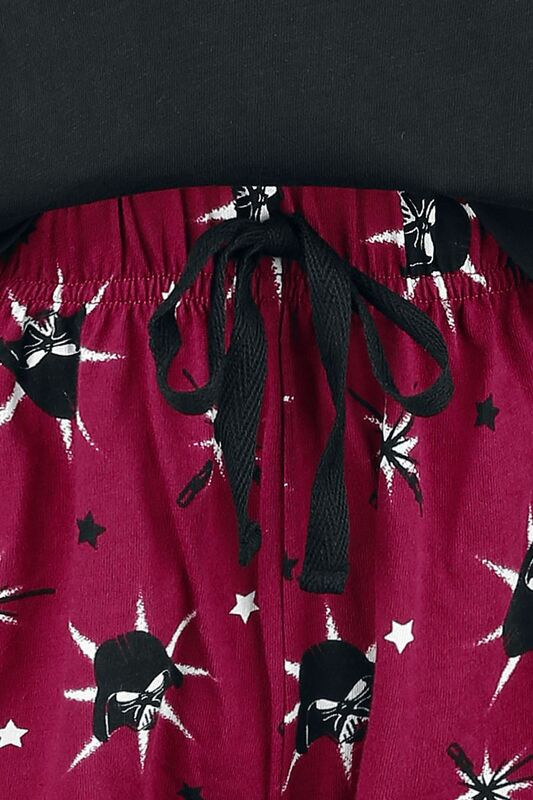 This sleepwear set matches the Darth Vader sleep pants also available at EMP Online – get both and you can mix and match the shorts or pants depending on the weather. 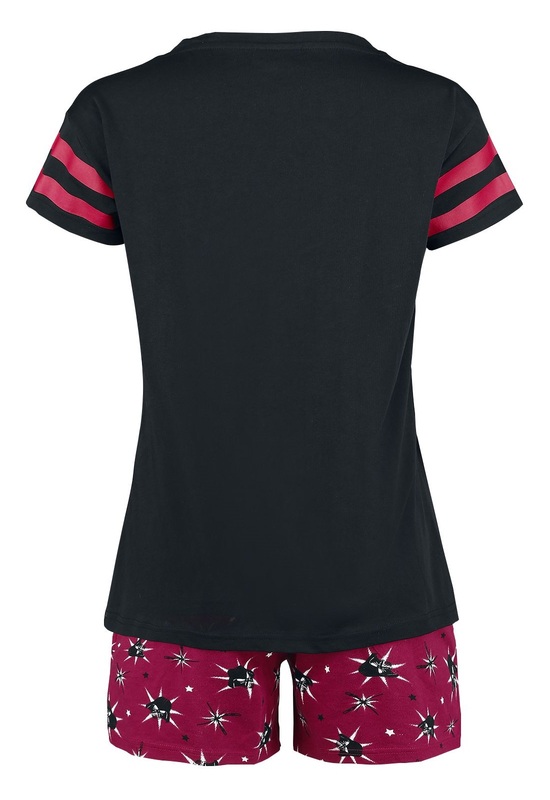 Available in sizes S to 3XL, the sleepwear is priced at €29.99 to €34.99 per set (depending on size) – EMP Online can ship internationally.